Cakes are a type of food, usually sweet and eaten as a dessert, and particularly popular on special occasions such as birthdays, Christmas, or weddings. The ingredients for different types of cakes do vary widely, but in most cases the ingredients include flour, sugar or another sweetener, egg or another binding agent, a fat substance such as butter, liquid (most often water or milk), and yeast or baking powder which is used to make the cake rice. 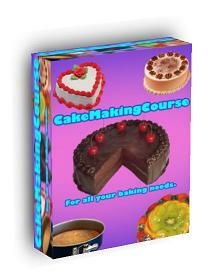 Additionally, cakes are often decorated with some combination of buttercream, icing sugar, marzipan, and so forth. Schwarzwälder kirschtorte - This is a German recipe. It is a cake made from layers of chocolate cake, with whipped cream and cherries between each of the layers. The cake is then decorated with more whipped cream, maraschino cherries and chocolate shavings. In Germany, kirschwasser (a clear brandy made from cherries) is traditionally used as an ingredient when making the cake, but in many other countries this is either substituted (for example, with rum in Austria), or simply omitted entirely. In other countries, Schwarzwälder kirschtorte goes by other names - in the United Kingdom, it is known as quot;Black Forest gateau", and in most other English-speaking countries (including the United States, Canada and Australia), it is known as "Black Forest cake". Stollen - This is another a German recipe. It is bread-like fruitcake containing citrus peel, dried fruit, almonds and spices. Stollen is particularly popular during the Christmas period. Bossche bol - This is a Dutch recipe for a cake ball filled with cream and coated with chocolate. Dobos torta - This is probably Hungarian cuisine's most famous cake. It was invented by the Hungarian confectioner, József C. Dobos, and is a layered sponge cake, covered with chocolate, caramel and nuts. Garash - This is a walnut cake found in Bulgarian cuisine. The cake is frosted with cream and bitter chocolate, then covered with chocolate icing. 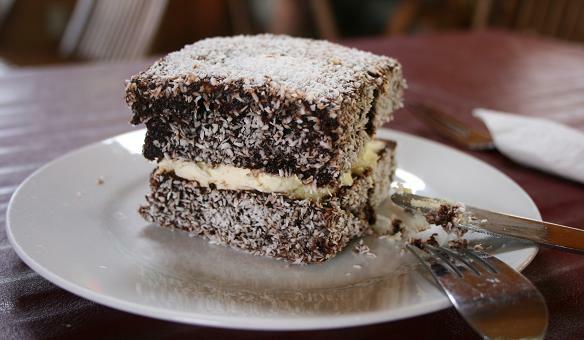 Lamingtons - Lamingtons are found in both and New Zealand cuisine. They are cubes of sponge cake, covered with chocolate icing and dessicated coconut. In some versions of the recipe, the cubes of cake are sliced in half, and a layer of cream or strawberry jam is spread between the halves. Sachertorte - Austrian cuisine is very famous for the range of cakes, pastries and desserts that it has to offer, and this is one of Austria's most famous cake recipes. 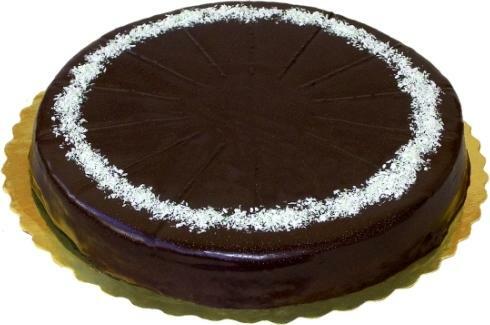 It is a chocolate cake with dark chocolate icing with a layer of apricot jam in the middle. Swiss Roll - Despite its name, this cake does not actually originate from Switzerland. Swiss roll is cake made from a roll of sponge with a spiral of jam inside, and sprinkled with caster sugar on the outside. Vánocka - This is a Czech recipe for a Christmas cake. The cake is made with eggs and butter, and also contains raisins, almonds, lemon rind, and nutmeg. The dough for the cake is made into braids, and these are stacked and then baked. 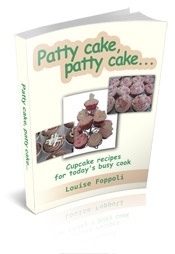 An eBook Full Of Fun, Inspiring, Stress-free & Easy-to-use Cake Decorating Tips And Ideas. Wow Friends And Family With Fantastic Looking Cakes For Any Occasion.